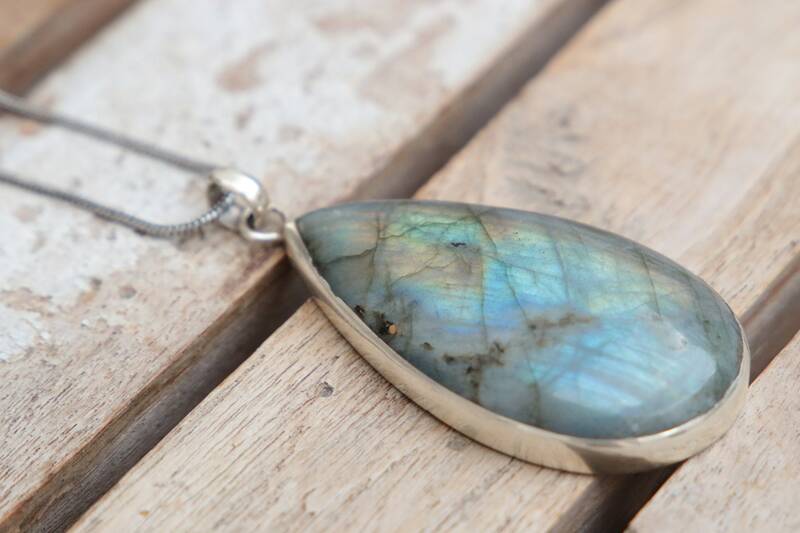 This simple handmade 925 sterling silver pendant perfectly shows off this incredible glowing labradorite crystal, and through the simplicity of the design, it highlights it's natural beauty. 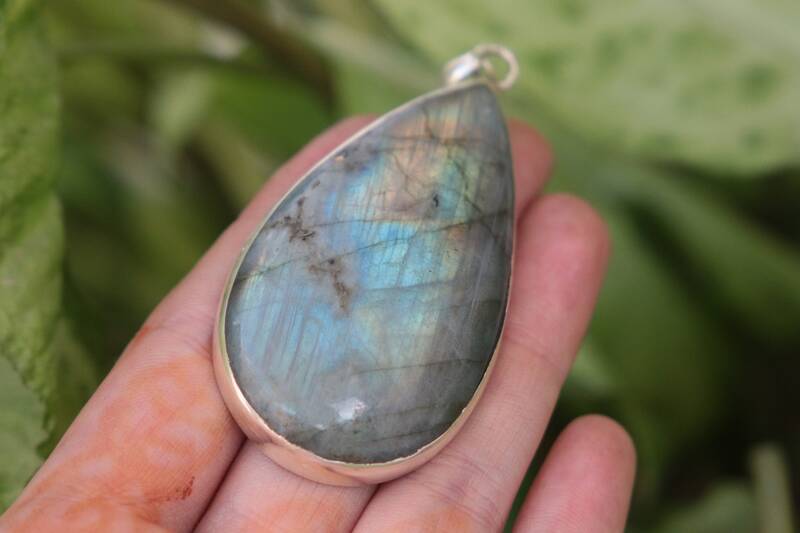 I love working with labradorite as I feel like its iridescent glow is something purely magical. 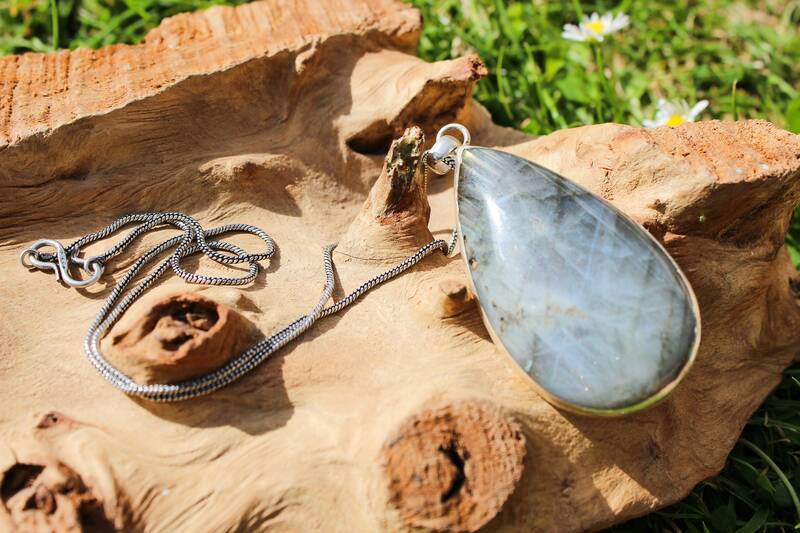 It is important to me that I hand select all stones I work with and I only choose the most beautiful stones to turn into jewellery. 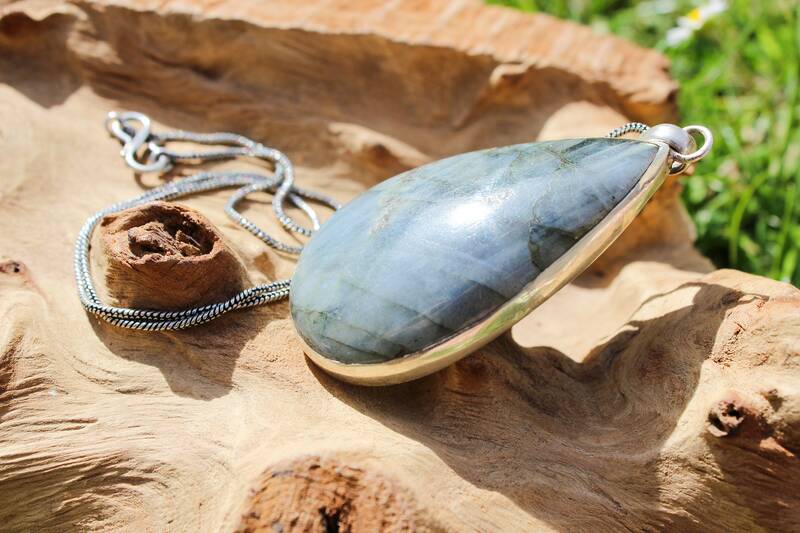 This labradorite necklace is a bespoke piece and as all of our crystals are naturally produced and hand sourced, no two will ever be the same. 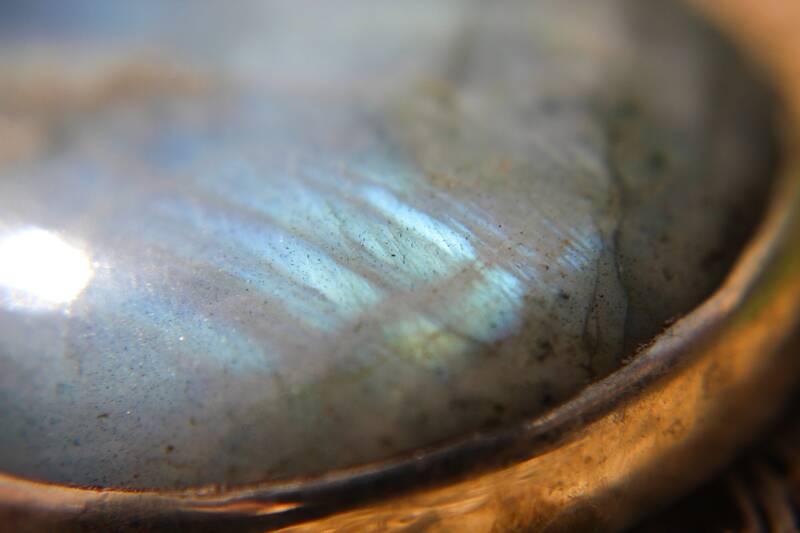 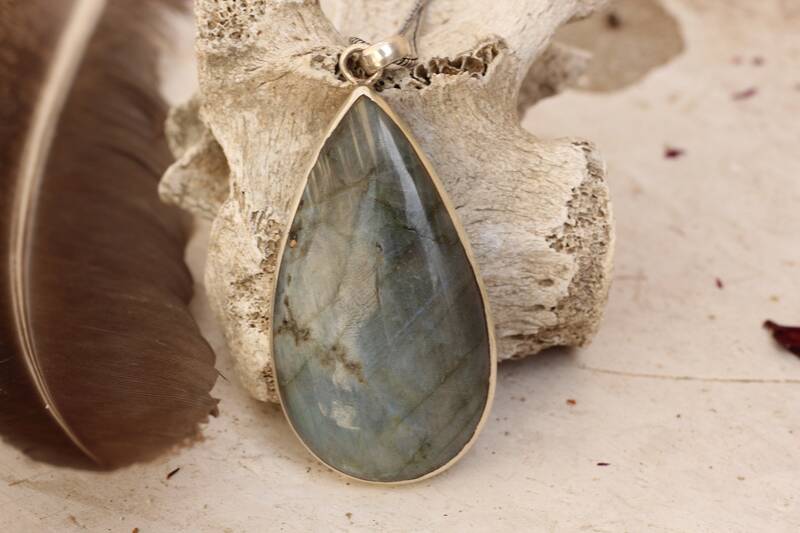 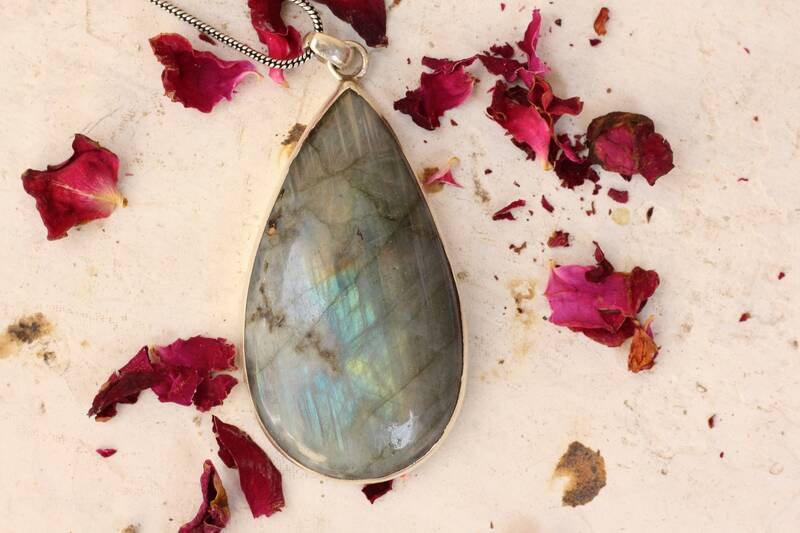 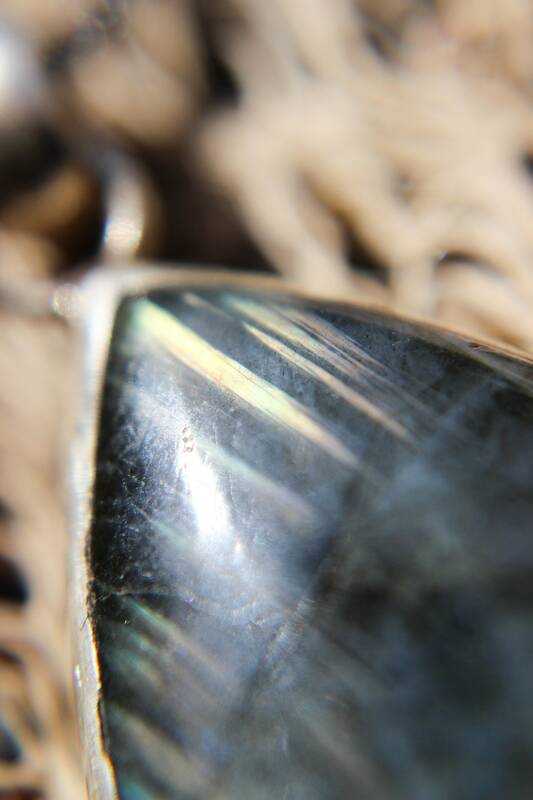 The minerals in labradorite make it seem like it is physically glowing, and the stone changes or displays flashes of colour when it catches the light.